15 shorts out of the 25 got a “yes” answer 50% or more -which is an indication that this year’s selection was even better than 2008. 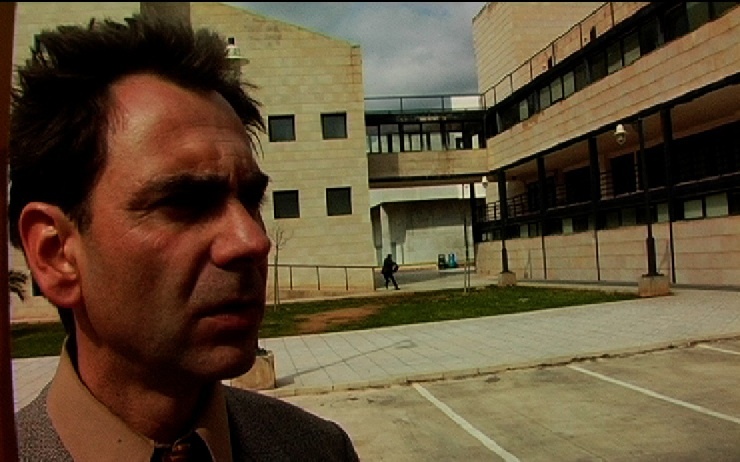 “La Plluja” (Rain), Spain, by director Nofre Moya. “It’s a great honour to me to receive this ”audience best award”. It makes me feel that I share with the audience similar inquietudes about the present society, and about what we expect from the close future if we don’t change our attitude in the world we live. Indeed, awarding “Rain”, indicates the desire of the audience for shorts that stay focused on the present day and use the devices of the Fantastic Arts to talk about what troubles us in today’s world. 2nd: “Tea & Remembrance” by Ron Yuan (USA), reflecting the popularity of comics and of “martial dancing” in Greece. 3d: “La Main Des Maitres” by A. Toupet/C.Delatre/V.Chauvet (France) an excellent animation that I suspect lost the Award only because it was too short (4 minutes) and lacked a fully developed story. 4th: “Las Gafas” (The Glasses) by Alberto Garcia Martin (Spain), a witty and humorous story about religious faith. 5th: “Welgunzer” by Bradford Schmidt (USA), where time travel has nothing to do with science and everything to do with human emotions. The full list of the 15 shorts that persuaded the SFF-rated 2009 audience to dedicate to them more of their time follows.